The untoward entry of the Archbishop’s name on the crew list of the MV Lifeline prior to his visit to the humanitarian vessel has ended up as the subject of a magisterial decree. The ship’s captain, Claus Peter Reisch is currently facing criminal proceedings for allegedly steering the ship within Maltese territorial waters without the necessary registration and licence, after rescuing 234 migrants who were later allowed to disembark in Malta. Following that rescue operation in June, the Captain ended up at the centre of court proceedings, while the vessel has since been impounded by Maltese authorities, with only a specified list of persons being allowed on board. Any loading or unloading operations, as well as any third parties not mentioned in the crew list, were not allowed on board unless duly authorised by the presiding magistrate. For this reason, on January 5, a revised crew list was deposited in court, indicating Archbishop Charles Scicluna as well as a number of other persons, in what appeared to be an attempt to circumvent the court order. The Archbishop had, in fact, visited the ship in a gesture of solidarity with the NGO’s mission to save lives at sea. However, that gesture was described by certain quarters of the media as “an act of defiance,” a comment which earned the rebuke of Magistrate Joseph Mifsud who declared that investigations had shown that the Archbishop certainly had no intention of defying court orders. 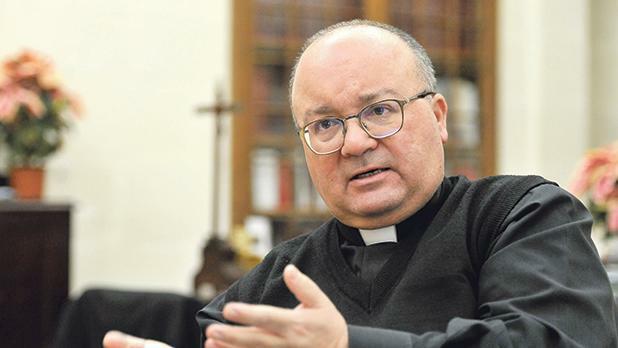 Had the Court’s authorisation been sought for the Archbishop to board the vessel, it would certainly have been granted, Magistrate Mifsud stated, deploring the fact that someone “for reasons known only to him”, had interpreted this humanitarian act as one of defiance. For this reason, the court ordered the captain to revise the crew list, whilst calling upon immigration authorities and Transport Malta to verify such a list, as they ought to have done when the Archbishop ended up as a member of the crew though “good sense and logic” dictated otherwise. Meanwhile, a sitting scheduled for Friday was adjourned to March after the captain requested leave to visit his ailing mother back home.